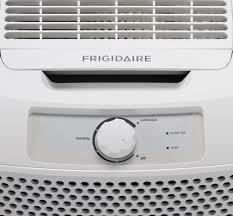 Frigidaire - FAD301NUD : Dehumidifier Review • The Air Geeks, reviews of air conditioners, dehumidifiers and air purifiers. Are you looking for a low capacity humidity control system for your small office, bedroom, server room, or store? The FAD301NUD is a low capacity unit that is capable of pulling up to 30 pints of moisture from the air. This dehumidifier enables users to set their desired humidity between 35% to 85%. Furthermore, this unit features a container that can hold up to 12 pints of water. In case you are planning to buy the FAD301NUD and you are looking for information about its performance, then we are glad to let you know that you are in the right place. We have thoroughly researched to provide you with reliable information. Apart from its performance, we have also explored its strengths and weaknesses. At the Air geeks, we have gathered all the details that you need in order to make an informed decision. Without wasting time, we will start with its description. In case you are struggling to control the relative humidity of your small room, then the FAD301NUD is a suitable solution. This 30-pint dehumidifier is designed to ensure that the relative humidity of your room is maintained within your desired level. The FAD301NUD allows you to set your desired relative humidity anywhere between 35% and 85%. The effectiveness of this unit helps to ensure that your possessions are not damaged by excess moisture. 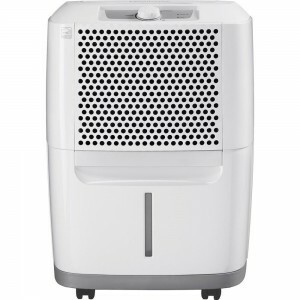 In addition, this dehumidifier ensures that your room is an unsuitable place for the growth of mold and mildew. The FAD301NUD features a reservoir for storing the captured water. This easy-to-remove container has a capacity of 12 pints. What happens when the tank is full? Can the unit flood your house? This dehumidifier features a full-tank alert that notifies the user that the reservoir is full. To prevent spillages, the system shuts-off until the tank is emptied. For continuous operation, it is necessary place the unit close to a suitable drain. In addition, this unit features easy-to-use controls that enable you to adjust the relative humidity of your room with ease and convenience. Do you intend to use your dehumidifier in more than one room? If that is what you are planning to do, then you need a portable unit that you can easily move from one position to another. This humidity control system features caster wheels and integrated handles. Caster wheels enable people to move the unit from one position to another by pushing it. Integrated handles enable people to carry the unit upstairs or downstairs with ease. In case you are experiencing difficulties when breathing, then you need to look for a dehumidifier that eliminates bacteria. The FAD301NUD is a suitable solution for this. Its anti-microbial mesh filters bacteria, bad odors, and a wide variety of airborne particles. Are you looking for an energy-efficient unit? The FAD301NUD is an energy-efficient unit that delivers good performance while consuming minimum power. According to the manufacturer, this unit consumes 320W. Although most dehumidifiers produce heat, we have noted that this unit does not produce noticeable amount of heat. Most dehumidifiers produce a loud sound that can be irritating to noise-sensitive people. Although this unit is not whisper-quiet, we have observed that it does not produce horrible noises. Unless you are highly sensitive to noise, you can sleep with this unit running in the background. High energy efficiency. We have noted that this unit is energy efficient and does not produce noticeable amounts of heat. Easy to install and operate. You can unpack and install this unit in less than 15 minutes. Its easy-to-use controls enable users to adjust the relative humidity of their rooms with ease. Not whisper-quiet. Although this unit is not whisper-quiet, we have observed that it does not produce terrible sounds. However, noise-sensitive people may be unable to sleep when this unit is running in the background. Not highly durable. Many cases of units developing issues after running for less than one year have been reported. The 41-year-old Westinghouse dehumidifier in my basement finally gave up the ghost early this summer. Because it was already very humid, I was desperate to get a new one ASAP. Apparently, so was everyone else in New England because I couldn't find a good one in the stores. Most had already sold out and the few that were left were brands with bad reputations for recalls, overheating, etc. Based on reviews and word of mouth, I really wanted a Frigidaire. I should have ordered one online right away instead of trying to find one locally. Fortunately, I only had to wait a few days after I ordered, and it was worth the wait. I put the Frigidaire on a sturdy table and hooked up a short hose to the outlet on the back of the unit. I put the other end of the hose in a nearby washtub and didn't have to wait very long for water to start trickling out of the hose. Before I ordered the Frigidaire, I had tried another type of dehumidifier that uses thermoelectric/Peltier technology. The most moisture it could collect was two ounces in eight hours. I knew that wasn't enough, especially for what I had paid for it. In contrast, on a really humid day, the Frigidaire can collect a few ounces in just an hour. And since it's going into the sink, I don't ever have to empty a bucket. As for the noise - it may depend on your point of reference. My 41-year-old Westinghouse was quieter, but it was also less efficient and less powerful. On the other hand, all of my air conditioners are window units, and they're louder than the dehumidifier, especially when the compressor in the air conditioner cycles on and off. I WISH they sounded like the dehumidifier." Had it for 5 months now, works well, drys out the bathroom without overheating the room. Very noisy but ,run it during the day and it fills up nicely. The auto shut off works well also. Emptying it is a pain, that should have been engineered better. Then you have to slam it back in to put it back. I like the smaller size since these things are really heavy, but this wheels nicely into my other spaces if needed. My girl left her sunroof open one year and soaked her seats and when I bought this I wanted something I could pick up and dry out a car if needed! Hope that never happens again!This model was the newer one .Paid 189 5 months ago. Let it sit upright before turning it on. Very pleased so far." The FAD301NUD is an energy-efficient unit that consumes minimum power. This unit is suitable for people who have small rooms and want to save money. In addition, it is easy to unpack, install, and operate this dehumidifier. Despite the good features offered by this humidity control system, we have noted that it is not very durable. Many cases of breakages have been reported for units that have been in use for less than one year. Furthermore, we have observed that this dehumidifier is not whisper quiet. However, it does not produce irritating sounds, unlike some other dehumidifiers we have tested. A good unit, made by a good brand.